Click here to make your booking now. 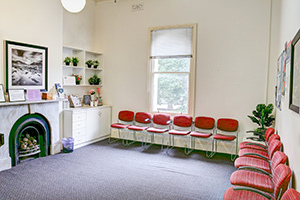 We are a general practice located in the heart of Carlton on the corner of Rathdowne and Elgin St. We are a privately-billing doctor-owned practice with male and female Australian trained doctors including a psychologist and onsite pathology service. We are committed to providing comprehensive, high-quality, primary health care and we welcome new patients and visitors to Melbourne. Our team of very experienced and highly qualified doctors offer you the highest standard of general medical care. Each of our doctors have their own areas of special expertise and interest. Between them they cover all of your health care and medical needs. Please Book Online or call the clinic on 03 8330 3900 for an appointment and see our new patient section under the Appointments tab. Carlton Family Medical is a general practice located in the heart of Carlton. We are a privately-billing doctor-owned practice with male and female Australian trained doctors, psychologist and onsite pathology service.